As you might recall, the Consumer Financial Protection Bureau, under previous management, declared war on small, short-term, high interest loans in the name of protecting the consumers (though many actual consumers find that, used judiciously, such a loan can help out in a pinch). Now, the Free Beacon reveals the interesting affiliations of the individual who was influential in helping CFPB formulate its campaign against such loans--seems in his spare time he was a leader of the violence-prone Antifa movement. Records show that former CFPB director Richard Cordray had multiple meetings with Jose Alcoff, the top liaison to the CFPB on the issue of payday lending for liberal advocacy group Americans for Financial Reform. 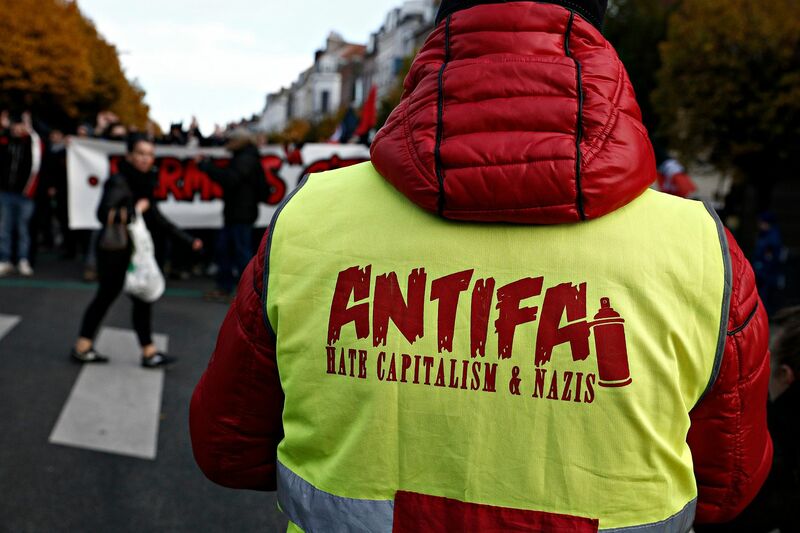 The meetings between Cordray and Alcoff occurred in 2016 and 2017, before the Daily Caller exposed last December that he had been using alternate identities to promote radical economic theories and participate in movements such as Occupy Wall Street and Antifa. The investigation ultimately led to Alcoff's arrest for his involvement in a racially charged January assault by Antifa on two Marines in Philadelphia. Alcoff hid these activities from his work with Americans for Financial Reform, which had the ear of Cordray during his work to regulate the payday loan industry. Alcoff was working as payday campaign manager for the group and had at least three recorded meetings with Cordray during the crafting of the CFPB's payday lending rule. Under the new leadership of Mick Mulvaney, CFPB has revised the loans rules. Alcoff has been blasted this.